Home › Everdigi(Tm) Earphones Earbuds Headphones With Mic Stereo & Volume Control Pe..
Everdigi(Tm) Earphones Earbuds Headphones With Mic Stereo & Volume Control Pe..
Best Quality--Resistance to sweat,Adjust volume, Control music playback, answer and end calls on iphone, ipad and ipod, pause music, forward to the next song, etc. all by pressing the button on the mic. Lightning USB Cable- 8 pin 3FT lightning charging cord ensures fastest charging and sync speed for all iphone devices. Color:Earbud & Cable (White) Top Quality--Resistance to sweat,Adjust volume, Control music playback, answer and end calls on iphone, ipad and ipod, pause music, forward to the next song, etc. all by pressing the button on the mic. Compatible With Earphone: All Apple Devices iPhone 6s,6s Plus, 6 Plus, 6, iPhone 5s 5c 5. and iPad Air, iPad Mini, iPad Mini 2, iPad 4, iPod 5, and iPod Nano 7. iPhone Lightning Cable: iPhone 6 / 6 Plus / 5s / 5c / 5, iPad Air / Air 2, iPad mini / mini 2 / mini 3, iPad (4th generation), iPod nano (7th generation) and iPod touch (5th generation). Compatible with all iOS 8 devices. 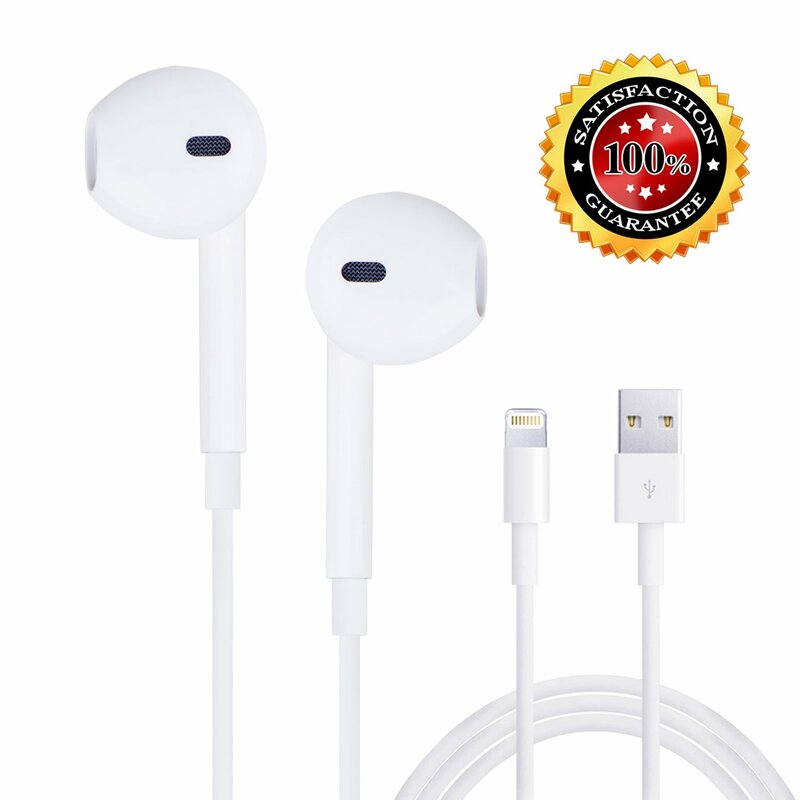 Package Contains Package contains 1 pack of top quality handsfree earbuds and 1 pack of 3ft lightning cable Lifetime worry-free product guarantee from EverDigi. Professional technical support. Efficient and always satisfying customer service.